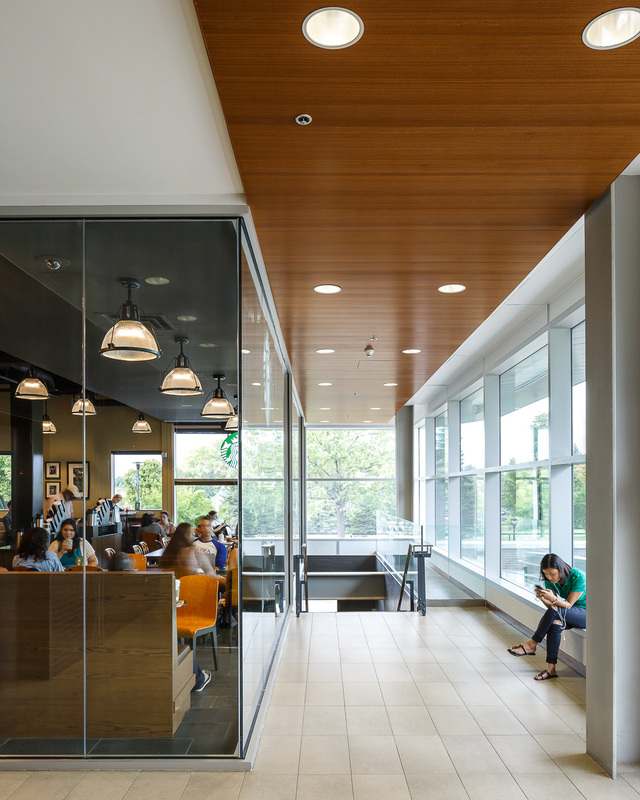 We were commissioned by Diamond Schmitt Architects and Ottawa Magazine to photograph the newly re-opened MacOdrum Library at Carleton University. The library, originally built in the 1950s was vastly outdated and suffered from a number of disjointed (and somewhat unfortunate renovations). The successful revamp by Toronto-architects Diamond Schmitt in collaboration with Ottawa’s Cuhaci and Associates brought the library into the 21st century with a fresh and airy look. 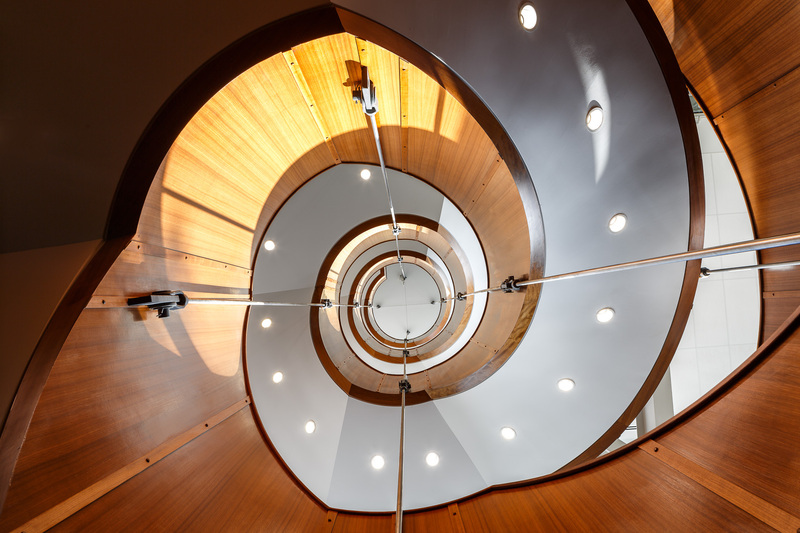 We particularly loved the glazed, double-height reading room with its superb helical staircase! 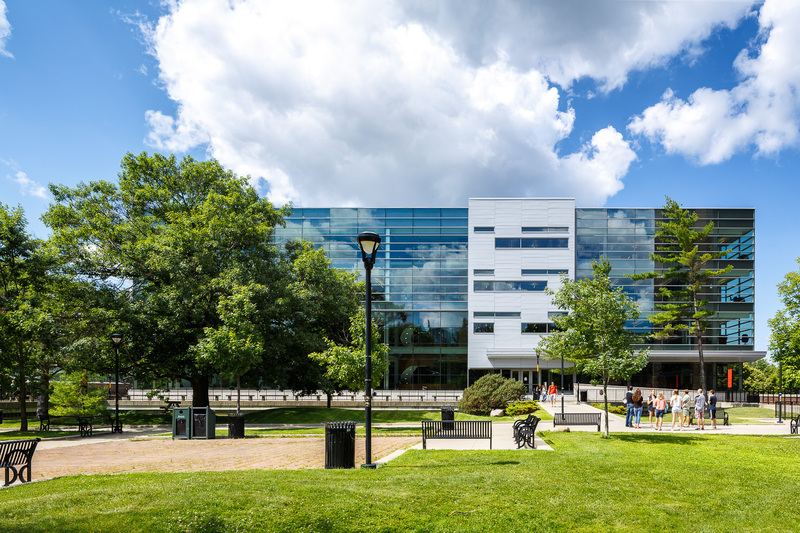 The MacOdrum Library at Carleton University has re-opened following an extensive renovation and expansion that adds new program areas and doubles the amount of seating to accommodate 2,000 students. Designed by Diamond Schmitt Architects in joint venture with Edward J. Cuhaci and Associates Architects, the renewal of the 1960s-era facility brings daylight deep into the core through a five-storey, fully glazed façade. 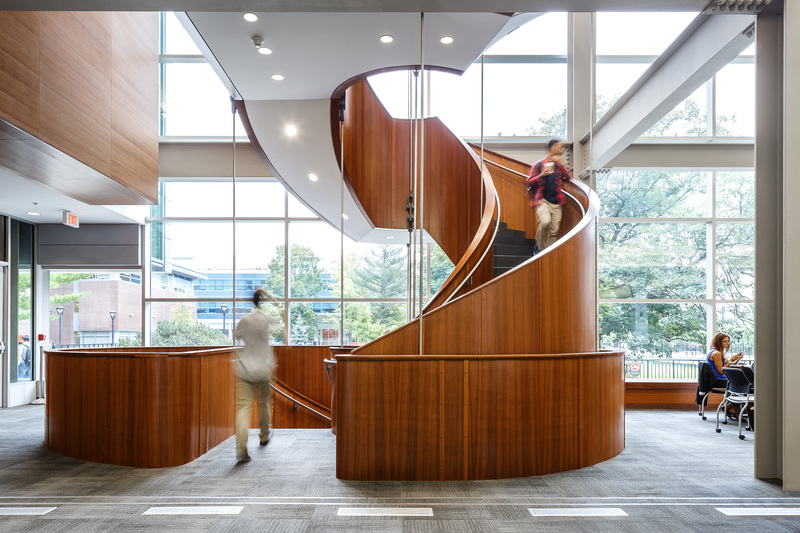 Nine new reading rooms allow for visual connection and a free flow of students around a helical mahogany staircase. Expanded services include a state-of-the-art Discovery Centre with digital media labs and additional space for Archives and Research Collections. 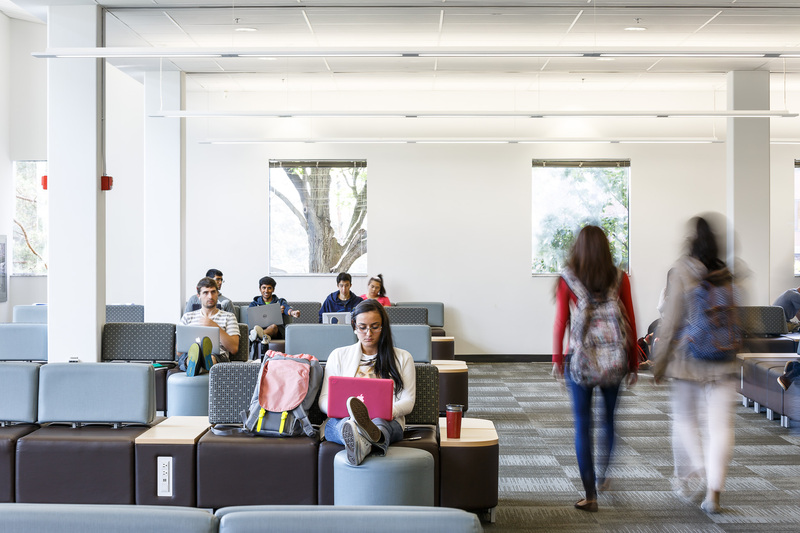 “The MacOdrum Library not only provides students with a variety of facilities required for today’s interdisciplinary and digitally-driven academic programs, but also re-establishes the library as a vibrant space at the heart of the campus,” said Donald Schmitt, Principal, at Diamond Schmitt Architects. More images in our featured gallery. 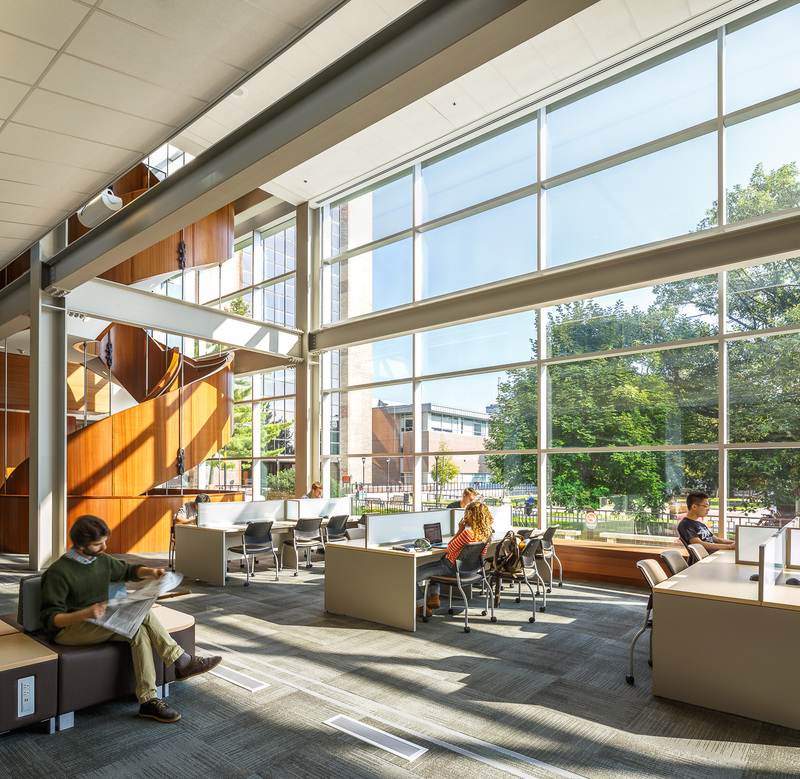 The library now has 24-hour access to study space, an expanded New Sun Joy Maclaren Centre for students with disabilities, and the future Jacob Siskind Music Resource Centre, where small concerts will be performed on the Southam family piano beneath a circular skylight. Innovative study features include a video gaming lab, 3D printers, highly interactive study rooms with large touch-screen monitors and two treadmills with desks where students can study and exercise at the same time. Group and graduate study rooms now total 46, up from 18 previously. “We have to move beyond the traditional ways of learning, and support creativity, teamwork and entrepreneurship. That’s what this building does,” said Kathleen Wynne, Ontario Premier, at the re-opening ceremony. “The building is extremely functional, and it really is a beautiful space,” she added. The $27-million expansion adds 74,000 square feet of new space and 35,000 square feet of renovated area to the library.